Leah is falling for handsome French chef Jean-Claude. But she’s meant to be getting married to Dan in a few weeks! Leah is about to give up her job at a top restaurant to marry her fiancé Dan. Then Jean-Claude, a charming French chef, comes to work at the restaurant, and suddenly Leah’s world is turned upside down. Does Jean-Claude offer a more exciting future than dependable Dan? And does Jean-Claude even really like her? Find out in this gripping romance novella. 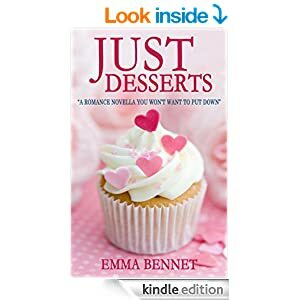 Emma Bennet is the author of the full-length romance novels “His Secret Daughter,” an Amazon top-50 bestseller, and “The Green Hills of Home.” Both are available now!